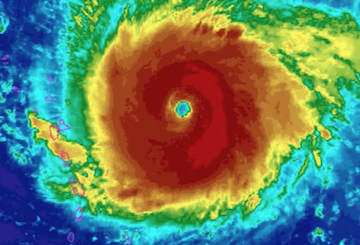 Hurricane Irma swept through the Caribbean, Florida and up through the southeast over the last few days. Thousands of homes and businesses were destroyed, communities were flooded and trees were uprooted all through the region. Its full effects are yet to be completely known. One thing that is certain is that power outages are widespread. Residences and companies in the affected areas may be without power for weeks to come. One company that is helping carriers and service providers deal with these issues is New Jersey Fiber Exchange (NJFX). Operating the first and only colocation campus to sit at a US cable landing station, NJFX is working with major carriers to expedite circuits that support a big telecom hub in Florida. NJFX’s secure facility is 64 feet above sea level, making it impervious to tidal surge and ideal for disaster recovery. This 64,800-square foot purpose-built data center offers direct access to multiple independent subsea cable systems that interconnect North America, Europe, South America, and the Caribbean. 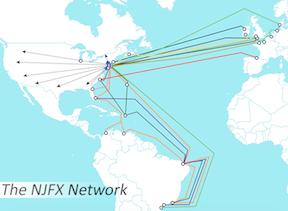 NJFX offers Tier 3, carrier neutral data center capabilities and through its more than 10 carriers and service provider partners, NJFX clients have direct access to any carrier’s suite of services in the NJFX ecosystem, without incurring cross-connect fees. To schedule a tour of the NJFX campus email: [email protected] or call (732) 978 4100. For the latest news, follow NJFX on Twitter, LinkedIn and Facebook. For more information, visit www.njfx.net.